Welcome to this wonderful and exciting book of rebus puzzles! 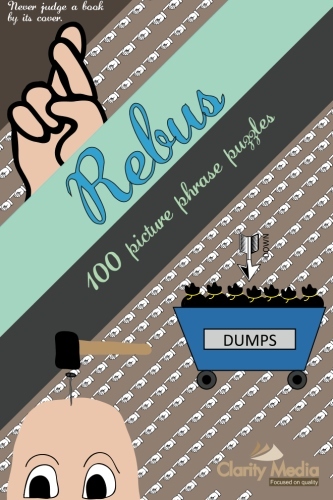 The book contains 100 different rebus puzzles, some picture and some phrases! The answers are also attached at the back of the book! 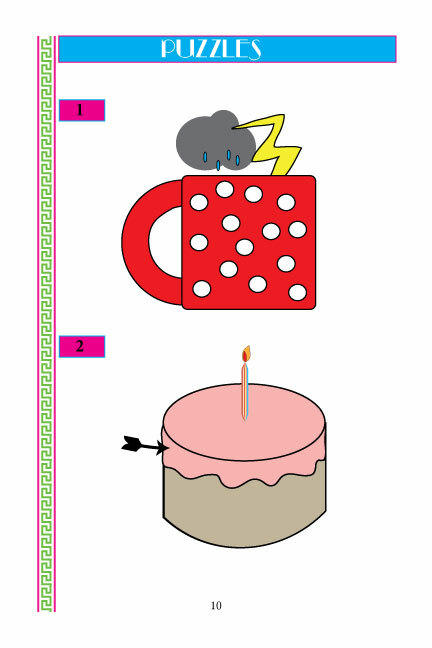 A rebus uses pictures and sometimes words to represent a phrase. It was first used in the Middle ages as an expression to denote surnames. If someones surname was Salmon then they may have drawn a picture of a fish to show this. A more modern example of a rebus being used as a form of word play is: H + (A picture of an ear) = Hear, or Here. Rebus Puzzles have been in many television game shows, including a popular American show called Concentration where contestants had to solve a rebus, which was partially concealed. Catchphrase in the UK was also a very popular game show where contestants had to decipher a rebus. Rebus puzzles are a fantastic puzzle for both kids and adults!